Don't forget to "like" our Facebook page for news, pictures, videos and discounts! 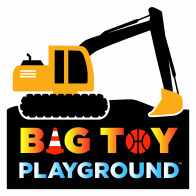 Big Toy Playground was featured on Arizona Highways Television on 5/31/14. Watch as host Robin Sewell experiences the thrill of a lifetime while running our excavator!